Furnished, Luxurious newly remodeled Beautiful 2 Bedroom + Den (could be a 3rd bedroom or an office) , 2 Full Baths Condo in Stoney Brook. Oasis in a Resort Living in Long Beach. 2 Bedroom + Den, 2 Baths Condo in Stoney Brook Complex. 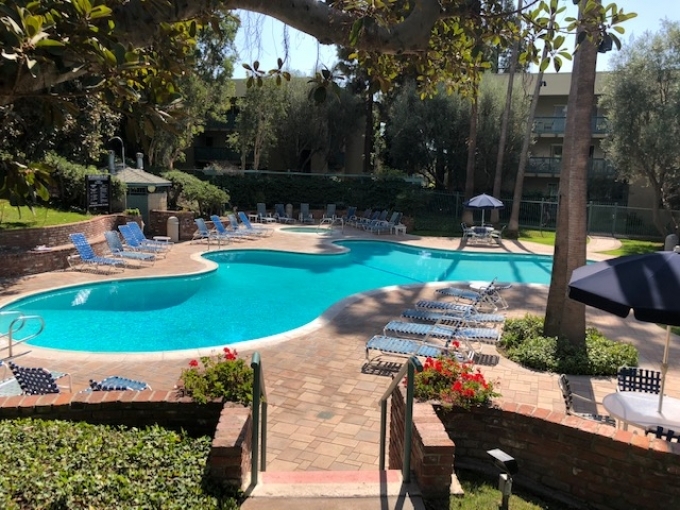 Great Location near Cal State Long Beach, VA Hospital, Major Freeways, Shopping and the Beach. The unit boasts 2 Master Bedrooms & 2 Full Baths + Den that can be used as a third bedroom or an office. This condo overlooks the green belt and the pool and has an oversized balcony/patio. Amenities include: 2 Pools & Spa, Tennis Courts, Sauna, Gym & a Clubhouse. 2 Side-by-side parking spaces in a gated parking. please inquire with owner at (323) 899-1999.